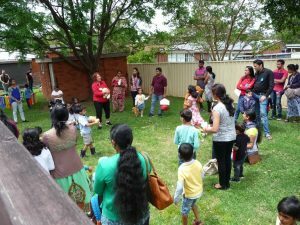 A wonderful morning was spent at St Barnabas Anglican Church, Westmead for 36 children and their families on Saturday 18th November. 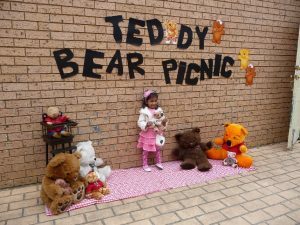 Lots of teddies also joined us for our Little Teddy Bear Picnic. 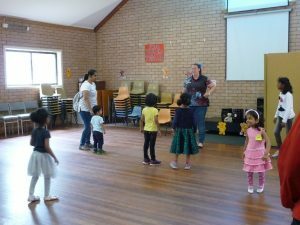 We had fun singing and dancing with Clare and Diane (Leader in charge of the Playgroup), as well as listening to a story. 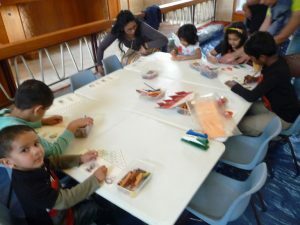 The children enjoyed icing teddy bear biscuits with Cheryl and creating a Three Bears House with Lyn. Some children even had a photo with Teddy and Teddy’s friends! Everyone had lots to eat as well as having the opportunity to sample some Indian food kindly made by some families. Diane had arranged some ladies to help distribute the food and some men to help with tables. Thank you St Barnabas for all your help on the day! The families sat on the grass and enjoyed the feast! A game of “Where’s the Bear?” was popular with the children too. 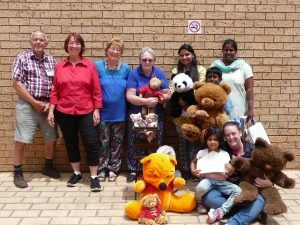 A Show bag and a ‘Certificate of Attendance at the Teddy Bear Picnic’ were also given to each child who attended. I even heard a mother say that this is the first certificate the child had received and was honoured to see her child receive it. We give thanks to God for a successful event where the families came and enjoyed the morning, the team worked well with those from St Barnabas and the weather held out for us! Thank you to everyone who had been praying for this event!